We will be running the City and Guilds 2391-51 Periodic Inspection course at our Watford, London and Stockton-On-Tees, Teesside electrical training venues. Although there are no qualifications required for this electrical verification course, it is expected that you should have basic knowledge and understanding of electrical science and principles/experience of electrical installation work either within the electrical contracting industry or an allied trade. It is recommended that you take the City and Guilds 2391-50 Verification course before attending this training (both courses are also available as a combined package). If you have any concerns about your eligibility for this course please call the training team directly for further information. During the City and Guilds 2391-51 Periodic Inspection course you can expect a mix of both theory and practical work spread over several days. Our experienced electrical training tutors will teach you about all aspects of Periodic Testing, including why it is required, the legislation behind it, health and safety, practical testing procedures and much more. Those who successfully complete with course will receive a City & Guilds 2391-51 Level 3 Award in Periodic Inspection and Testing of Electrical Installations. You will gain the necessary knowledge to safely perform periodic inspections and testing of electrical installations. 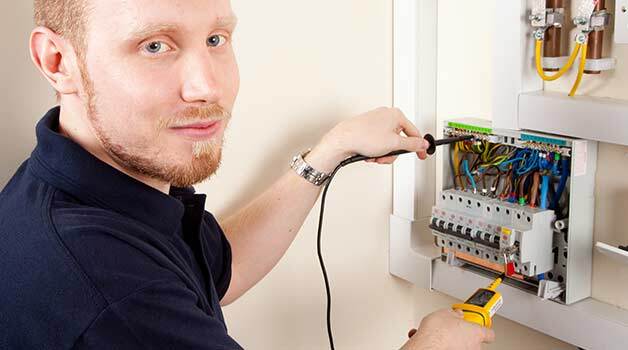 2391-51 covers both the theory and practical work required to test and verify electrical installations and is an excellent course for any practising electrician who would like to work more closely with electrical installations. It is highly recommended that you complete the City & Guilds 2391-50 Initial Verification of Electrical Installations course before attending this training. At both of our training venues we have comfortable, classroom-based environments for you learning your theory and also have our own purpose-built electrical training bays and tools where you’ll gain practical, hands-on experience of performing periodic testing. Our training groups are kept as small as possible to ensure you get the best learning experience, with plenty of hands-on time with our tutors throughout the course. We also include refreshments and lunch every day on the course. City and Guilds 2391-51 is an essential course for any electrician who would like to test electrical installations. With this course, you could progress into employment as an electrical installation technician or a professional electrician who is qualified to test installations.